UPDATE: The German Federation of Alevi Unions (AABF) staged a demonstration in the German city of Bochum on Sunday, March 18, protesting against Prime Minister Recep Tayyip Erdoğan, and accusing the Turkish government of being insensitive toward the Sivas massacre of 1993. AABF President Hüseyin Mat, German Green Party deputy Memet Kılıç and Sevim Dağdalen from the Left Party as well as Social Democrat Party of Germany (SPD) deputy Serdar Yüksel attended the protest. Mat said in a speech: "There was no help extended to the Alevi community. The governments in Turkey did their best to ensure that the case was dropped based on the statute of limitations. As European Alevis, we are here today to show our anger at the injustices going on in Turkey. The freedom of religion of Alevis is being restricted." AABF Secretary-General Ali Doğan, commenting on the demonstration that took place in the city stadium, said the municipal permission for the use of the stadium for the demonstration did not mean the City of Bochum officially supports the AABF's stance. "We will protest Recep Tayyip Erdoğan every time he visits Germany," Doğan added. The Turkish government of prime minister Recep Tayyip Erdoğan and the so-called Justice and Development Party or AKP has provoked a major controversy by its ambivalence, after indicating, on March 13, that it would not pursue a legal case against Islamists for a 1993 arson attack that killed 37 people, most of them members of the Alevi Muslim minority. The atrocity occurred when a mob of enraged Sunni Muslims assaulted the Madimak Hotel in the east-central city of Sivas. Alevis -- who adhere to a heterodox faith combining pre-Islamic Turkish and Kurdish traditions, plus Shiism and spiritual Sufism -- are committed secularists and notable proponents of gender equality. The attack on the hotel was motivated in part by participation in an Alevi cultural festival at the facility by the late Aziz Nesin, a popular author and translator of Salman Rushdie's novel The Satanic Verses into Turkish. 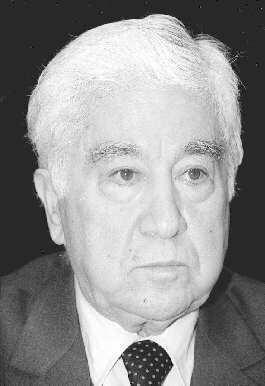 Nesin escaped the blaze set by the extremists; he died in 1995, at 79. Apart from those killed by the flames in the hotel, 60 people were injured in the incident, and 17 more died in anti-fundamentalist protests after the crime. Sivas, an ancient city known as Sebasteia, and long a center of Armenian culture, now stands as symbolic of Turkish Sunni violence against the Alevis. While the Alevis share the same complaints of discrimination suffered by Armenian and Greek Christians in the country, members of this liberal, dissenting Muslim sect count up to 20 million Turkish citizens, or a quarter of the country's total population. They are therefore more threatening to Islamist clerical and political bigots than the Christians. The Erdoğan government let slip disingenuously that it intended to drop charges against five accused perpetrators of the 1993 Sivas murders. Two more are now dead, including the former mayor of the city, who was a member of Erdoğan's party. Thirty people were condemned to execution for the attack, but their sentences were reduced to life imprisonment. The official explanation for the decision to abandon the Sivas prosecution held that the massacre was not a "crime against humanity," and therefore is subject to a 15-year statute of limitations. But while Turkey under Erdoğan and the AKP claim to adhere to Western values, in most countries, homicide – especially mass murder, and incitement to it – are not covered by any statute of limitations. In the American South, after decades, racists involved in lethal terrorist acts against civil rights volunteers during the 1960s have been brought to justice. Nazis and their collaborators in the Holocaust, once they are found, regardless of their age, are still captured and arraigned. In the aftermath of the Balkan conflicts and other attempts at genocide over the past 20 years, war criminals have been caught and sent to the International Criminal Tribunal for the Former Yugoslavia and similar bodies at The Hague. It has been argued that the same fate awaits the bloodthirsty Syrian dictator Bashar Al-Assad and his cohorts. Turkey, however, regardless of its posturing against the Damascus tyrant, is different. The suggestion that the accused in the Sivas tragedy would escape a reckoning fits the "soft" fundamentalist direction Erdoğan and his party, affiliated with the Muslim Brotherhood, have imposed on their citizens. Outrage over the apparent impunity enjoyed by radicals, murdering in the name of Sunnism, and inflicting continued oppression on Alevis and others of whom they disapprove, led to new confrontations with Turkish police last week. President Abdullah Gül, an AKP stalwart, was moved to declare that the Sivas events remain to be clarified, suggesting that Erdoğan's followers might back away from such an obvious injustice. Further, Deputy Prime Minister Bekir Bozdağ denied that a statute of limitations could be applied in the Sivas fatalities. Kemal Kılıçdaroğlu, leader of the main secular opposition force, the Republican People's Party (known by its Turkish initials as the CHP), commented sharply, "I am sure Prime Minister Erdoğan is happy (and) relieved at such a proposed court decision. This is an affront to humanity, and this is where the polarization of society starts." Kılıçdaroğlu noted that some of the defense lawyers for the Sivas Sunni agitators are legislators representing Erdoğan's AKP. The accommodation of Sunni Muslim radicals in the Sivas case came as both Erdoğan and the AKP face condemnation over obvious abuses of the justice system and other state institutions. Ahmet Şık and Nedim Şener, two leading journalists imprisoned in a murky series of proceedings during which hundreds of secularist media, military, and minority figures have been indicted for alleged subversion, were released on Monday, the day before the gambit to exculpate the Sivas plotters was announced. Şık was targeted by the AKP for exposing the penetration of Turkish police agencies by a powerful Islamist movement headed by Fethullah Gülen, a purported Sufi living in the U.S. Two less prominent media personalities, Sait Çakir and Coşkun Musluk, were also set free after being jailed in the same convoluted campaign of repression. But AKP allegations against the journalists have not been dropped: while they have been let out of prison, they still face trials. In public education, where Erdoğan and the AKP have promoted an Islamist agenda painstakingly, the Ankara authorities announced that they will replace the established eight-year primary curriculum with a split structure under which students will be permitted to complete four years each in primary and secondary schools. Between the ages of 10 and 14, young people would then be allowed to matriculate in "imam-hatip" schools, which train Muslim clerics and Friday preachers. Turkish parents expressed anxiety that such a "reform" would encourage girls, in particular, to leave school after only four years. A probable consequence of such a new educational standard would be an increase in child marriages – a major blight on Turkish society, and a devastating setback for women.